Matrimonial Figurines and Custom Wedding Cake Toppers - Hand made for you, from the traditional style with Bride and Groom to any scenario, limited only by your imagination. 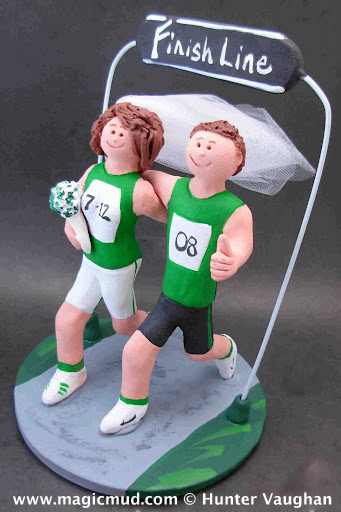 These Personalized Figurines are the perfect keepsake of that Special Day, and can be proudly displayed or even used as elaborate Wedding Cake Toppers. If you're searching for a totally unique Wedding centerpiece, and want to make a great impression, these memorable collectible figurines will show how much you care. ©2018 Hunter Vaughan, All Rights Reserved. No images on this site may be used, in any form, without the consent of the artist.